Another popular LED grow light among indoor cannabis growers. 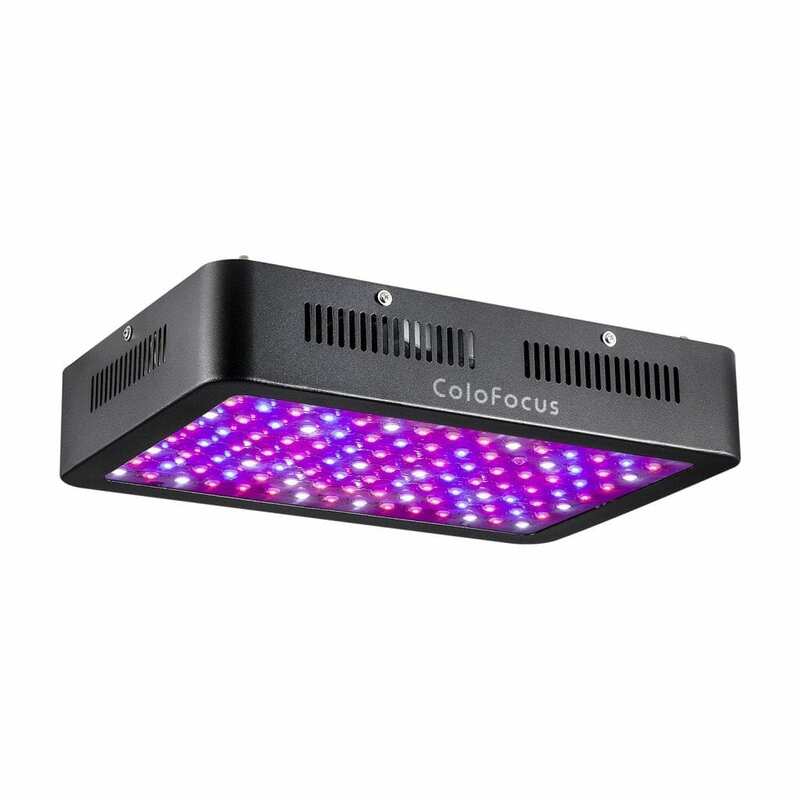 The Colofocus 1000w is a 1000-watt indoor LED grow light. With higher brightness and longer lifespan, it has 100 pieces of 10W epileds double LED chips to give intense light. The optimal amount of spectrum gives a good focus on every target. Colofocus 1000w LED has features that are ideal for growing in water solution, soil, breeding, farming, flowering, and germination. Let’s read some more on the light in this Colofocus 1000w review. Colofocus 1000w LED is designed for whom? Light consumes 110-120 watt of power. Colofocus LED lights hold great features, which makes it a successful LED grow light brand. It covers a good area and emits powerful light. The light covers a nice quantity over canopies and thereby improves it growth. We will cover all the important features of the Colofocus 1000w in the following paragraphs. The coverage is of this Colofocus 1000w is comparable to other 1000w LED grow lights. It has a coverage area of approximately 3.5 X 4 square feet for veg and flowering. A 4×4 grow tent or two lights in a 4×8 grow tent would be perfect for this light. 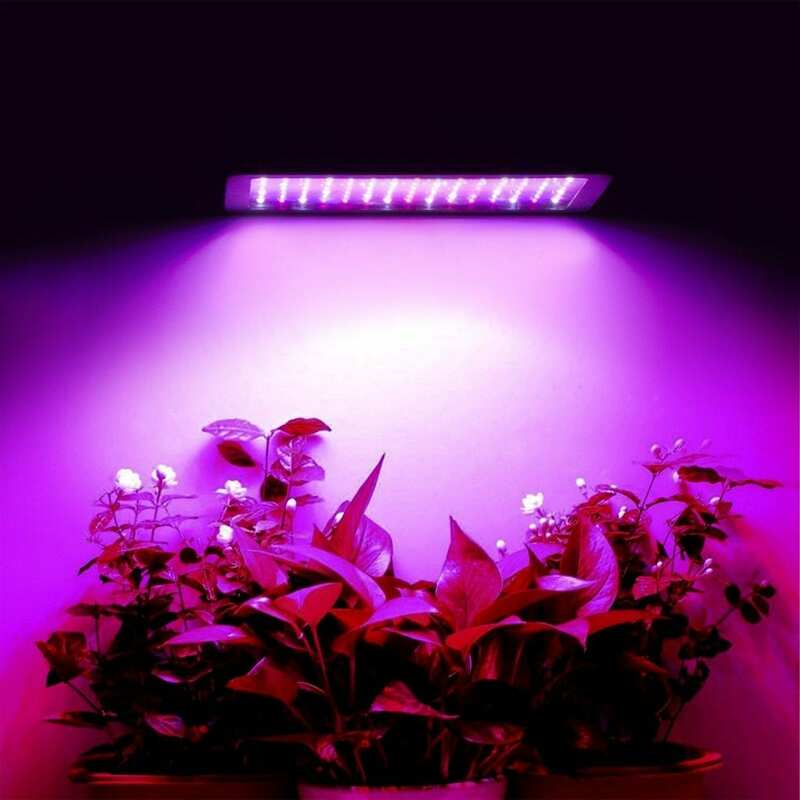 Consequently, LED grow light is ideal for the veg an flowering phase of cannabis growth. Environmental conditions and hanging height influence the coverage area, just like with all other LED grow lights. The Colofocus 1000w LED has full spectrum and super bright lights. The bright light is due to its 10w LED chips. The chips have an inner infrared function, which is helpful for cell division and good for photosynthesis. Furthermore, the UV function makes the rapid growth of plants possible. With over 8 years of experience, Colofocus provides a professional spectrum that looks natural and feels natural for the plants. This triggers the process of photosynthesis in your cannabis plants helping them to bloom and grow. Running cool, the Colofocus 1000w is safe and protects itself from damage through excessive heat. There are two cooling fans in every Colofocus 1000w that work continuously. Maintaining a low-level temperature, the fans are responsible for an excellent function of the light. Moreover, every LED comes with a resistance, which keeps them to work separately. 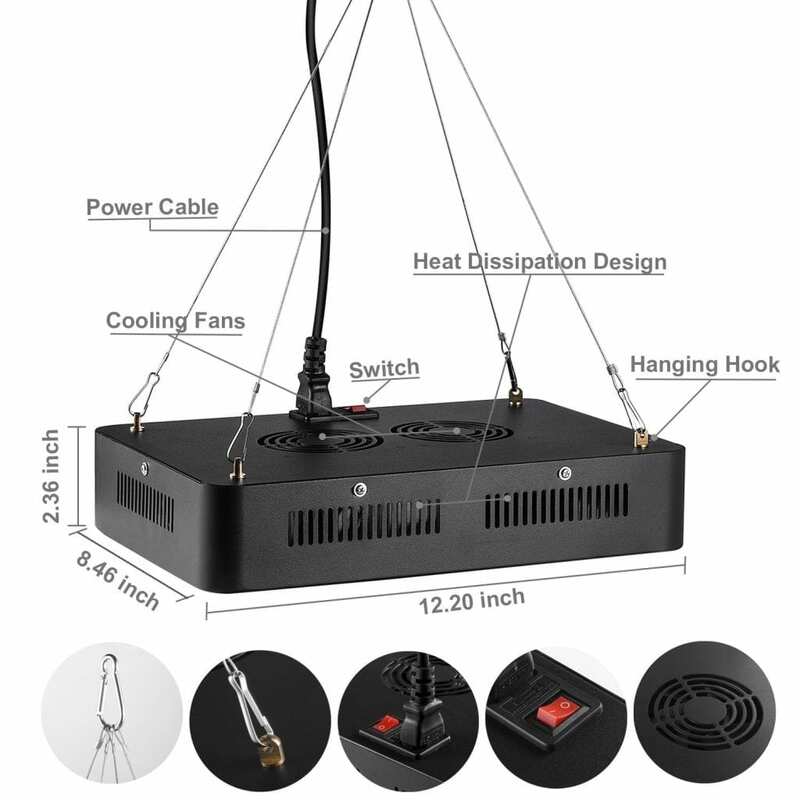 All in all, the 3.0 mm LED helps in heat dissipation. The double chips 10 W LEDs give high efficiency because of their brightness. As a result, it works like a 1000 watt LED grow light while consuming only 110w-120w of power. This makes the Colofocus 1000w much brighter than a LED grow light with 3 or 5 watt LEDs. Hence, the Colofocus performs better and lives longer than other LED grow lights. The Colofocus 1000w LED grow light is designed for every aspiring indoor grower. You can use the light for gardening, sowing, germination, breeding, farming, as well as greenhouse cultivation. 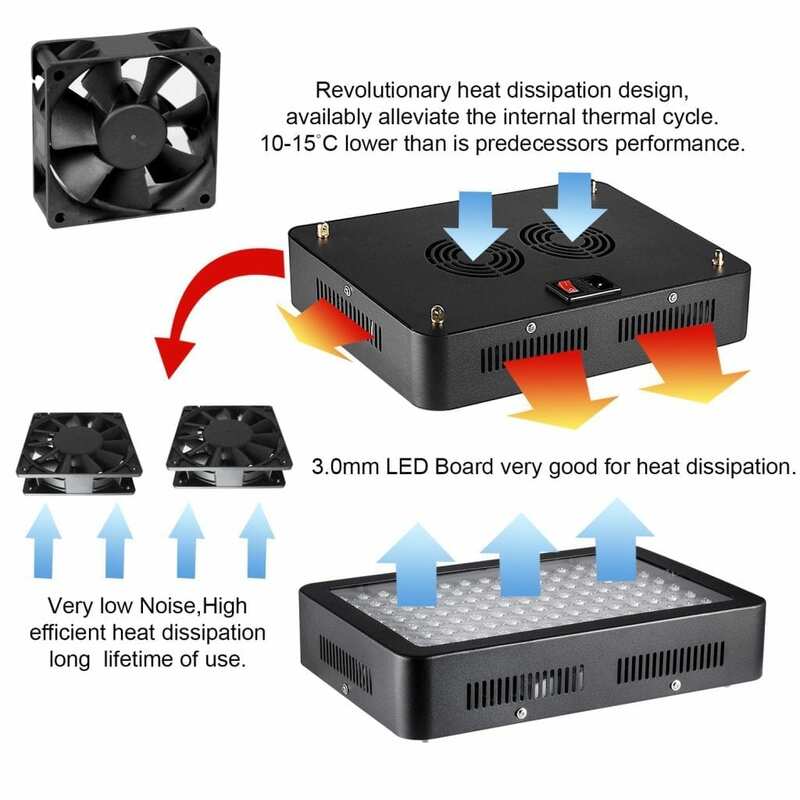 In addition, its 3 mm LED board has a good capacity for heat dissipation. So, anyone wanting a smoothly functioning LED to grow light can have it. Pay attention when using this light close to water, this light is not waterproof. Do you want to see a video review of the Colofocus 1000w? This guy does a great job at showing all its capabilities and how it works live. Check the video below if you’re interested. A great LED grow light to have when you have an indoor cannabis garden. As you can read in this Colofocus 1000w review, this is a light you can rely on. It has all the standard features you need and it is a very affordable light. Also, it has great coverage for this price. 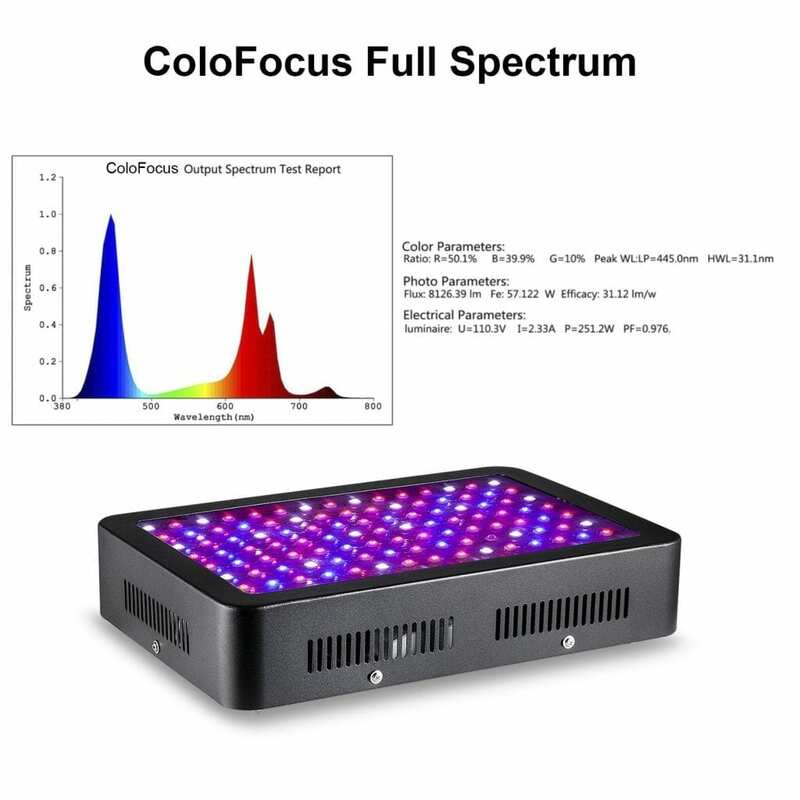 If you’re looking to buy one of your first LED grow lights and you want to have a lot of power, this Colofocus 1000w is great for you. Are you looking for more tools for your indoor grow room? Then check out our reviews of the best tools! We reviewed the best bud trimmers, carbon filters and more. Looking for more LED grow lights? We reviewed a lot of them and we have some recommendations if you don’t want the Colofocus 1000w. Looking for a cheaper light? Check out our COB LED grow light reviews. Looking for a more advanced LED grow light? Look at the G8LED G8-900!